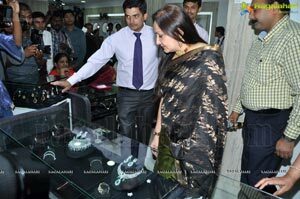 Hyderabad, November 08th, 2012: Malabar Gold & Diamonds, one amongst the world's top jewellery retailers, came up with a unique diamond exhibition at their prestigious outlet at Somajiguda, Hyderabad. 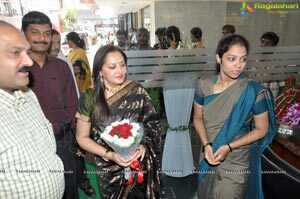 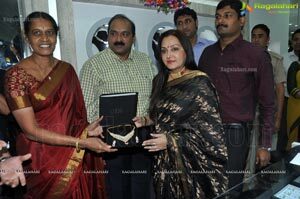 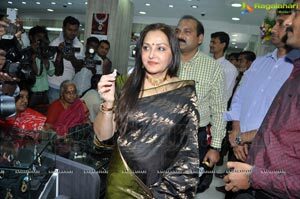 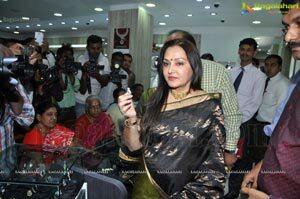 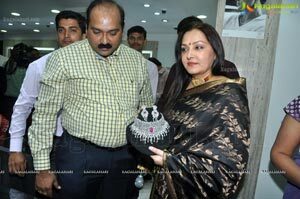 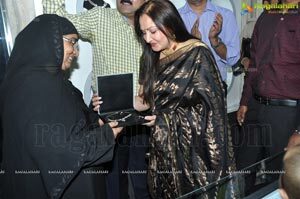 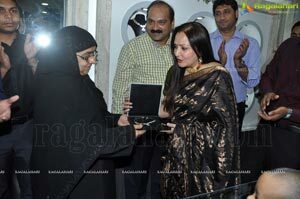 The "Diamond Show" inaugurated by Eminent Film Personality & Ex. 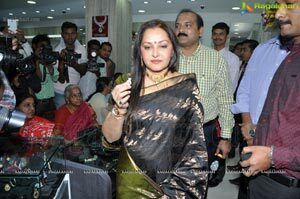 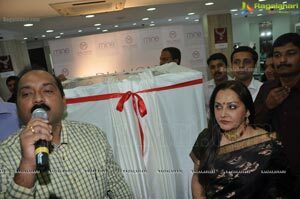 M P Ms. Jayaprada, Offered unlimited choice in Bridal Solitaire, Every day, Light Weight, Men's and Platinum Diamond Jewelry. 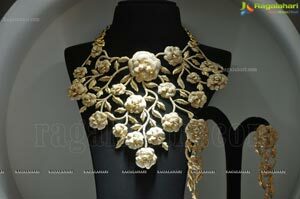 This show is only for a limited time. 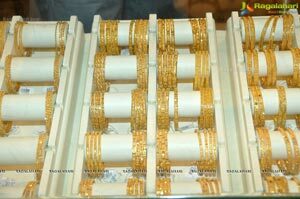 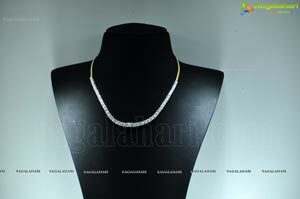 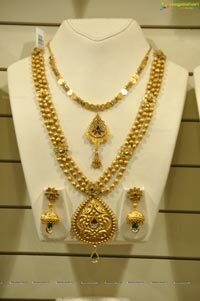 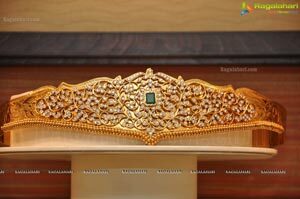 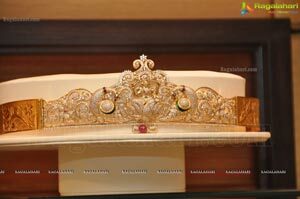 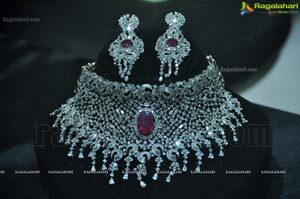 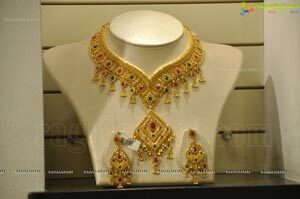 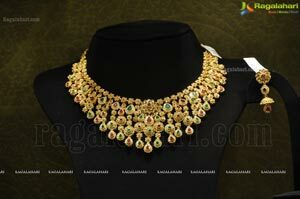 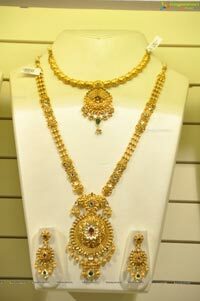 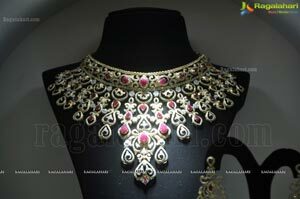 "Diamond Show", only at Malabar Gold & Diamonds Somajiguda, will go on till November 25, 2012. 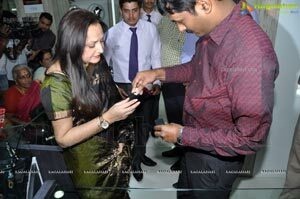 During the Diamond Show, customers can avail special prices & also free maintenance of their existing Jewelry. 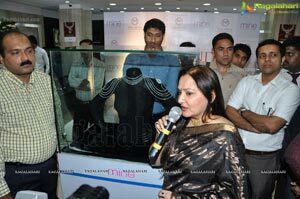 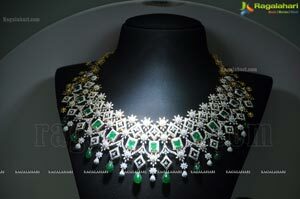 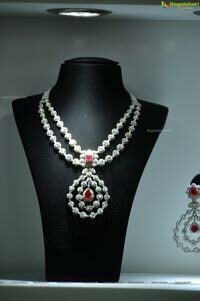 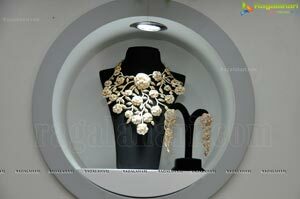 The prime attraction of the "Diamond Show" is the display of a designer necklace, a creation of celebrated international designer, Reena Thakur. 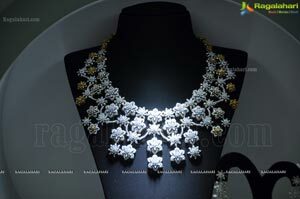 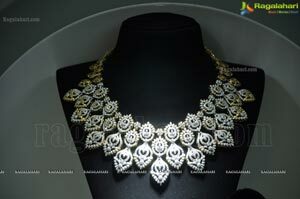 The necklace is studded with an astonishing array of 2345 diamonds of 196 carats and gold weighing about 357 grams. 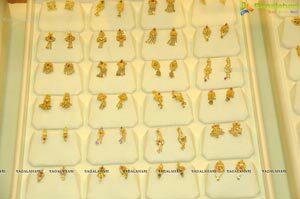 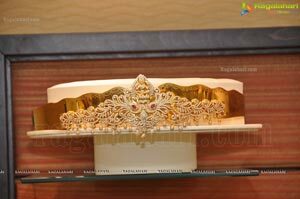 Exchange of Diamond Jewelry is offered during the Diamond Show; Customers have the opportunity to exchange their existing & old diamond jewelry for new 'mine' diamond jewelry from Malabar Gold & Diamonds. 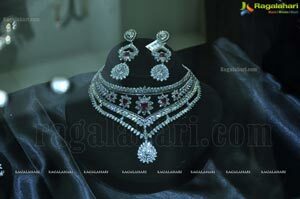 Details of the Diamond Exchange Offer can be availed on visiting the showroom. 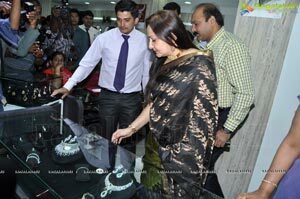 'Mine' Diamond Jewelry, the exclusive brand of Malabar Gold & Diamonds, comes with the quality Assurance of EF-VVS diamonds with IGI (International Gemological Institute) certification, Lifetime Free Maintenance, 100% buy-back guarantee and One Year Free Insurance. 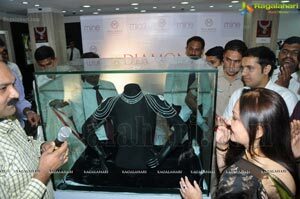 "The Mine Diamond Show is truly a rare opportunity that one cannot afford to miss" said Mr. Siraj P K , Zonal Director, Malabar Gold & Diamonds. 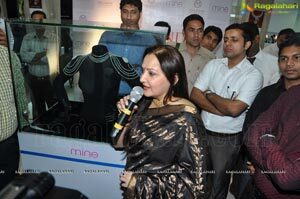 The show will conclude on 25th of this month. 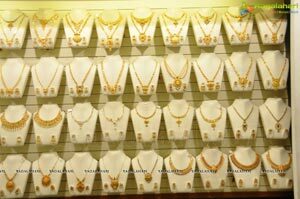 Malabar Gold and Diamonds is the flagship division of Malabar Group of Companies, one of the fastest growing business conglomerates. 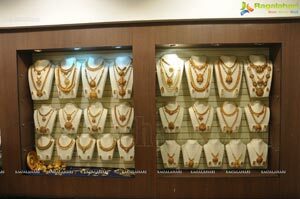 It is among the most trusted jewellery brand name in India & GCC with over 75 retail outlets spread across in Kerala, Tamil Nadu, Karnataka, Andhra Pradesh, Delhi and GCC with 10 supply chain centres. 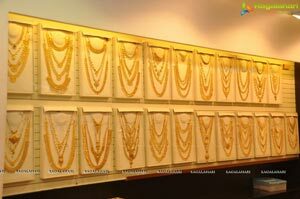 Malabar Gold and Diamonds sells only 100% BIS Hallmarked Gold, International Gemological Institute (IGI) certified Diamond ornaments, Platinum certified by Platinum Guild International (PGI) etc. 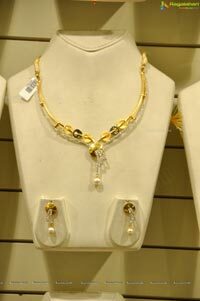 They also sell hallmarked silver jewellery and premium branded international watches. 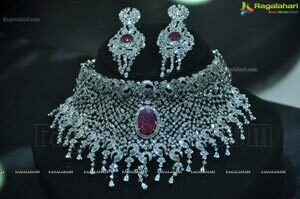 Every piece of jewellery comes with a detailed price tag, buy back guarantee and life long free maintenance ensuring a life long commitment to its customers. 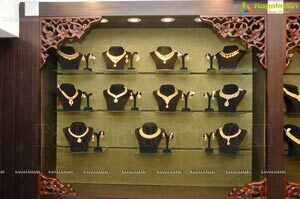 They have introduced the excellent Indian craftsmanship to the world through their exclusive brands; Divine- Indian heritage jewellery; Ethnix-Handcrafted designer Jewellery; Era -Uncut Diamond Jewellery; Mine- Diamonds unlimited; Starlet - kids jewellery; Precia- Precious Gem Jewellery. 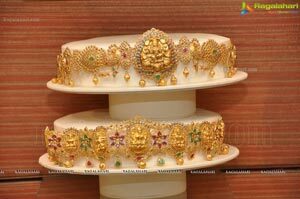 As a part of its Corporate Social Responsibility initiatives, Malabar Gold & Diamonds as earmarked a portion of its annual turnover for medical and housing charity under the aegis of Malabar Charitable trust. 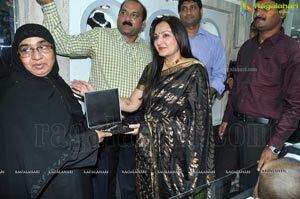 More than 285000 patients have been given free life saving drugs and more than 5700 homeless have benefited from the housing trust till date. 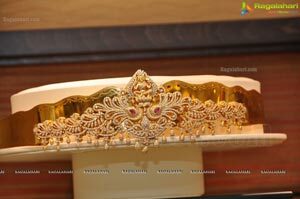 For moulding quality citizens for the country they have turned their concentration also towards promoting education and career oriented programmes and scholarship. 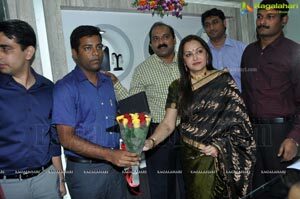 As part of this they sponsored 200 scholarships and 4 gold medals for school teachers and institutional leaders for the promotion of excellence in school education in India, joining hands with 'leading schools' project of IIM Kozhikode. 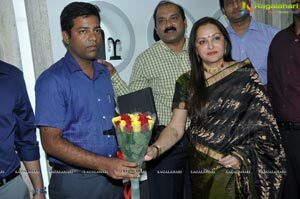 The endeavor announced today is an extension of its 'Empowering Education, Empowering Woman' initiative for the state of Tamilnadu. 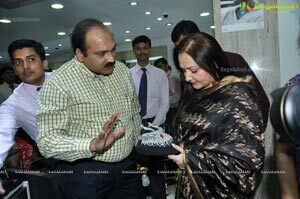 As a part of its green India initiative, the group conducts litter free campaigns and projects for social well being.